The Transition Resource Group for Impairment of Financial Instruments of the IASB was created to keep the IASB informed on issues occurring during implementation of the new impairment requirements, to assist in determining what action may be needed to resolve diversity in practice and to provide a public forum for stakeholders to learn about the new impairment requirements from others involved with implementation. IFRS 9 Financial Instruments was issued in its final version on 24 July 2014 and must be applied in an entity's first annual IFRS financial statements for periods beginning on or after 1 January 2018. The group is responsible for soliciting, analysing, and discussing stakeholder issues arising from implementation of the new impairment requirements. It informs the IASB about those implementation issues and will help the board to determine what, if any, action will be needed to address those issues. The group also provides a forum for stakeholders to learn about the new requirements from others involved with implementation. It will not issue guidance. Currently, the transition group has 12 members and is co-chaired by IASB member Sue Lloyd. Current members of the group can be found on the IASB's website. The group is expected to meet two to three times a year. It will discuss potential issues arising from the implementation of the new impairment requirements. Issues may be submitted by any stakeholder. They will be evaluated before each meeting and prioritised for discussion. Submission details are available on the IASB's website. Meetings of the transition group are open to the public and will be webcast. The first meeting is planned for the last quarter in 2014. On 11 December 2015, the IFRS Transition Resource Group for Impairment of Financial Instruments (‘ITG’) held its third meeting to discuss implementation issues arising from the new impairment requirements following the issue of IFRS 9 'Financial Instruments' (2014). The IASB has released the agenda for the upcoming meeting of Transition Resource Group for Impairment of Financial Instruments (ITG), which is being held at the IASB's office in London on 11 December 2015. On 16 September 2015, the IFRS Transition Resource Group for Impairment of Financial Instruments (‘ITG’) held its second meeting to discuss implementation issues arising from the new impairment requirements following the issue of IFRS 9 'Financial Instruments' (2014). The agenda has been released for the upcoming meeting of the Transition Resource Group for Impairment of Financial Instruments (ITG), which is being held at the IASB's office in London on 16 September 2015. On 22 April 2015, the IFRS Transition Resource Group for Impairment of Financial Instruments (‘ITG’) held its first meeting. 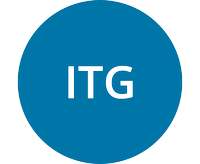 The ITG is a discussion forum established by the International Accounting Standards Board (IASB) to provide support for stakeholders on implementation issues arising from the new impairment requirements following the issue of IFRS 9 'Financial Instruments' (2014). The agenda has been released for the upcoming meeting of the Transition Resource Group for Impairment of Financial Instruments (ITG), which is being held at the offices of the IASB on 22 April 2015. The Transition Resource Group for Impairment of Financial Instruments (ITG) will hold an introductory conference call on 3 December 2014. The International Accounting Standards Board (IASB) has announced the membership of the transition resource group that will focus on the new requirements for impairment of financial instruments.